Living in an apartment has taught me many things: no one is going to cook, clean, do laundry, or fix things for you. As sad as these truths are, there is a lesson in this – independence. I’m getting a sneak peak into the real world a.k.a. not college. This is both terrifying and exciting at the same time. I still haven’t quite figured out how to buy groceries for one; I either buy too much or too little. Cooking in itself is a challenge, and sometimes I go a week without vacuuming or wiping down surfaces. These activities will become second nature in time, but right now, home isn’t looking to bad. Back to my grocery buying dilemma. I often find myself saying, “I have to eat _____ tonight before it goes bad!” Then I get on the internet and search recipes with that ingredient. It’s caused to get very creative with my cooking actually which I guess isn’t such a bad thing. Last week, I tried getting creative with some browning lettuce. 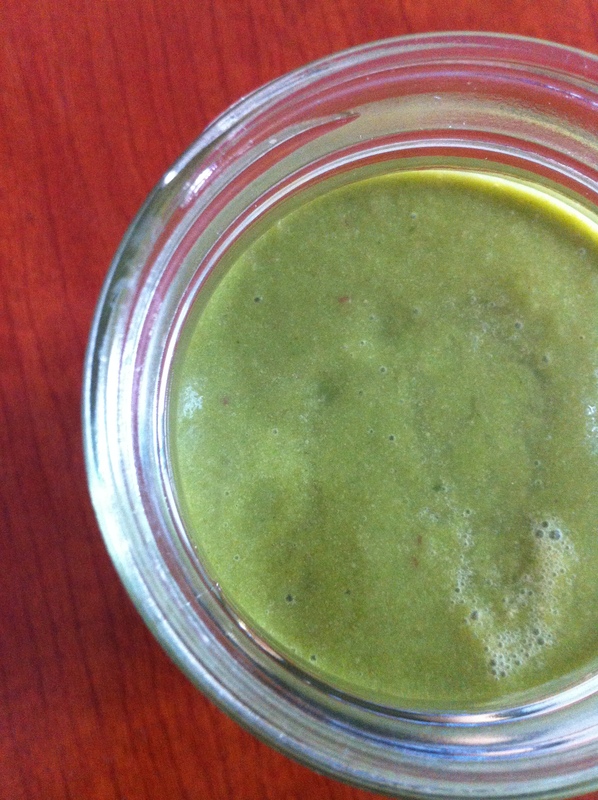 I wanted to try a “green smoothie.” Below is what I came up with. Add all ingredients to blender and mix to desired consistency. looks delicious! 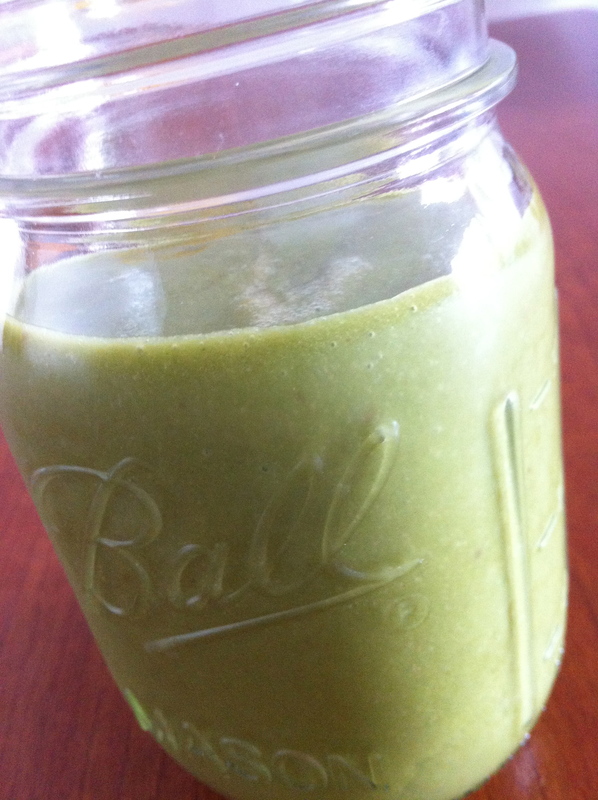 follow my blog, http://www.balancedpeanut.com, for an upcoming green smoothie challenge with an awesome giveaway!